Palm Tree At Sundown With Moon SOLD! This is an acrylic painting on a hardboard panel. This painting measures 11″x 14″. 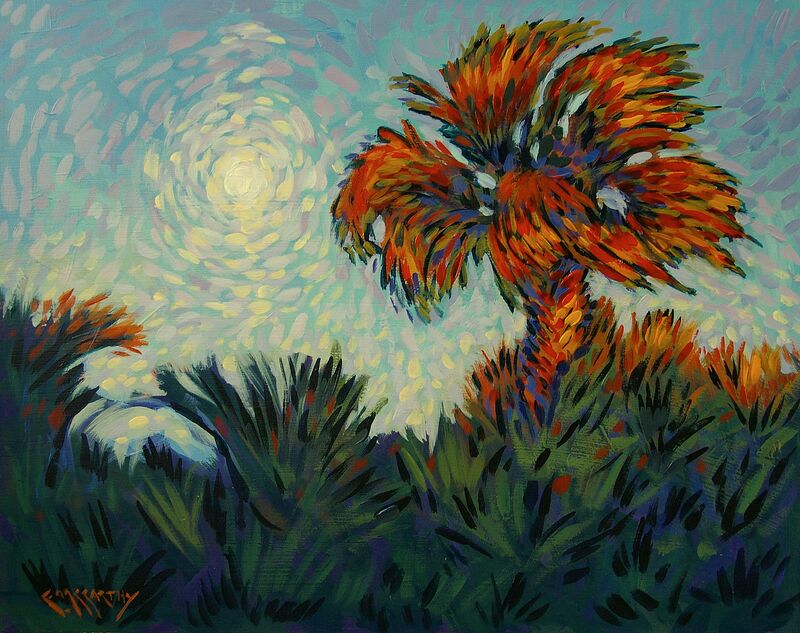 This painting simply depicts a palm tree swaying in the balmy evening breeze, right near the ocean at twilight. It’s warm, humid and there’s a cool breeze coming off the sea, on the other side of the palms, just out of view. This painting is based on photos from New Smyrna Beach, Florida, where I lived for several years. I completed this painting using my loose, more Impressionistic approach to pointillism. This painting is being sold unframed.